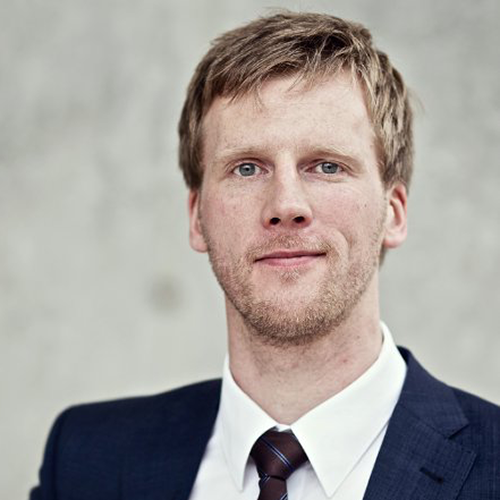 Arne-Kristian Schulz is a Master of Science with focus on behavioral economics and innovation management. He studied at the Technische Universität Müchen (Technical University of Munich). He also got a Diplom-Kaufmann (Business Administration) degree from the NORDAKADEMIE in Elmshorn, and training at ExxonMobil Central Europe Holding GmbH (dual course of studies). At blueforte, Arne is responsible for the visual business analytics segment and advises companies in the introduction and implementation of visualization standards in business communication and analysis. Prior to working for blueforte, Arne worked as a research assistant at the Technical University of Munich as well as in a management position for an international energy company. 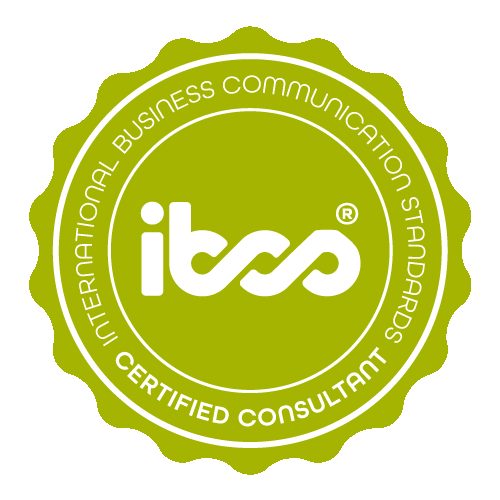 Arne-Kristian Schulz has successfully completed the IBCS® certification for successful design of reports and presentations at the HICHERT+FAISST IBCS Institute in April 2014. Segment earnings 2014 The EBIT margin and turnover for the company as well as for the four business segments are displayed by quarter. 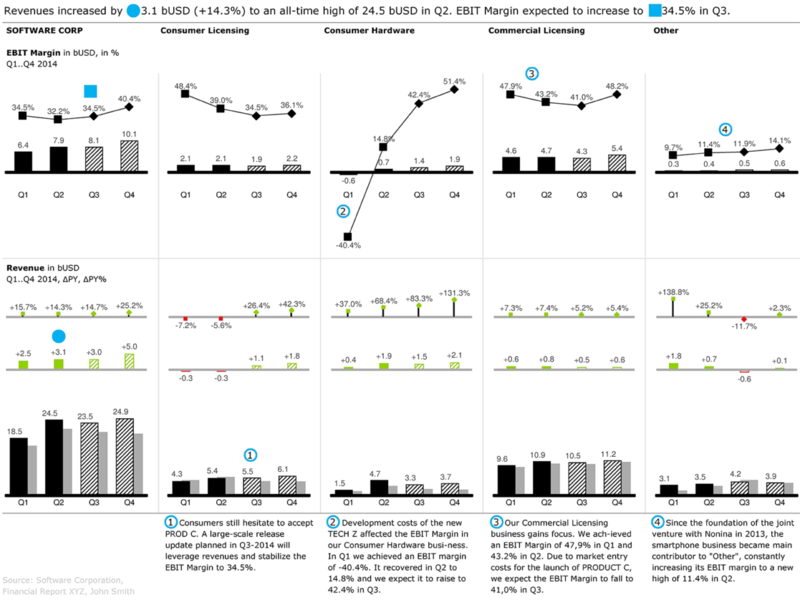 The EBIT margin is shown for both quarters of the year as well as the forecast for the following quarters. 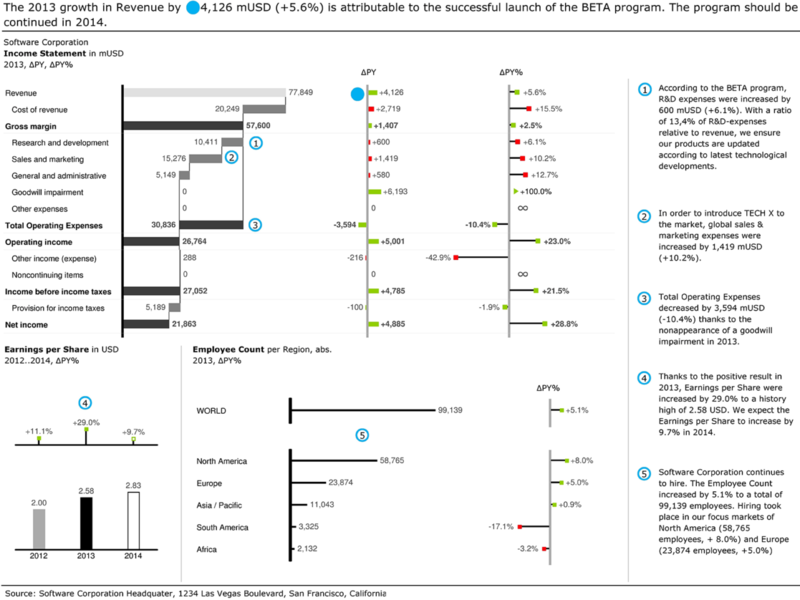 The EBIT margin is visualized as a line with the percentage value of the segment revenues in the same chart. The trend in turnover of the company and its business segments is visualized in the charts below. Each of the four quarter values are compared with the value for the previous quarter. The absolute and relative deviations from the previous year are displayed above the charts. Waterfall income statement 2013 The upper chart is a waterfall chart on the consolidated financial statements. A subtotal is derived from the expenses (Total Operating Expenses). Moreover, the chart shows the absolute and relative deviations from the previous year. The trend in earnings per share for the previous year, the current year, and the budget value for the following year as well as the corresponding percentage deviations are displayed on the left below the waterfall chart. In addition, the viewer also sees the employee count as a total number as well as a value for the individual regions. A pin chart without pin heads is used since this does not involve financial indicators.